uShaka Marine World is a 16-hectare theme park which was opened on 30 April 2004 in Durban, KwaZulu-Natal, South Africa. It comprises 4 sections: uShaka Sea World, uShaka Wet ‘n Wild, uShaka Beach, and uShaka Village Walk. The Durban Botanic Gardens is situated in the city of Durban, KwaZulu-Natal, South Africa. It is Durban’s oldest public institution and Africa’s oldest surviving botanical gardens. The gardens cover an area of 15 hectares in a subtropical climate. 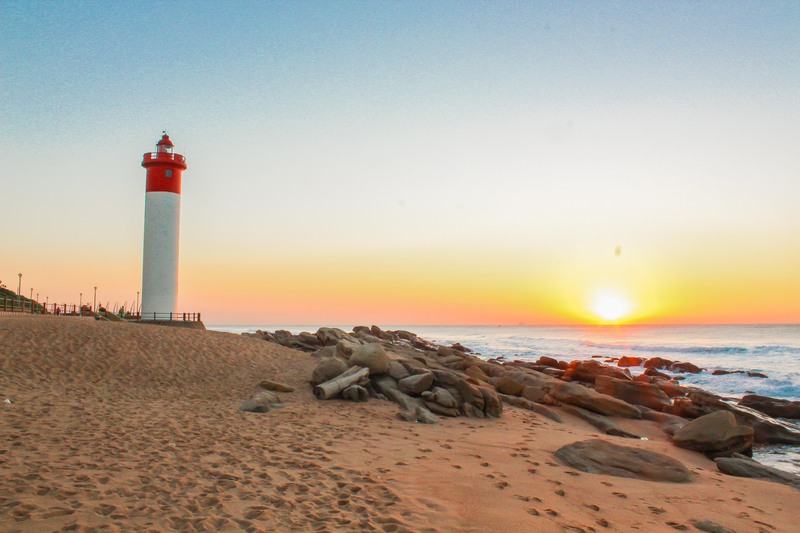 Umhlanga is an affluent residential, commercial and resort town north of Durban on the coast of KwaZulu-Natal, South Africa. It is part of the eThekwini Metropolitan Municipality, created in 2000, which includes the greater Durban area.